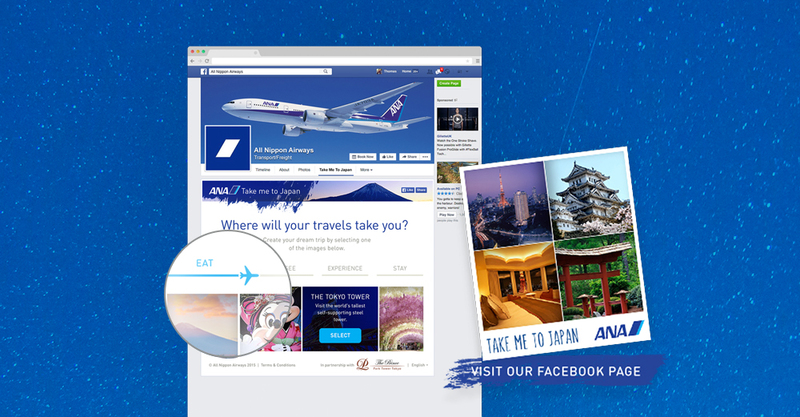 All Nippon Airways required an agency to support with social media strategy for its EMEA markets. The campaign brief was to develop an activation that would create a higher level of brand penetration in the UK, France and Germany. The core objectives were to improve brand awareness, increase ANA’s email database and grow the brand’s Facebook following in the UK, France and Germany by +10%. 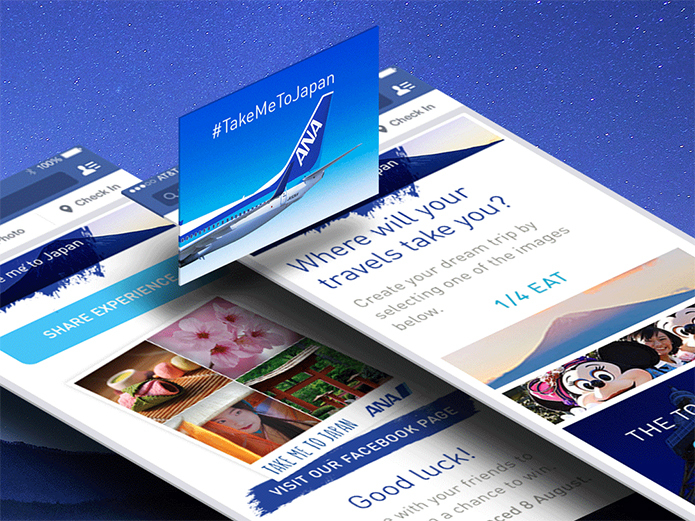 To meet ANA’s objectives, Catch launched #TakeMeToJapan; a campaign designed to capture the imagination of both new and existing fans. 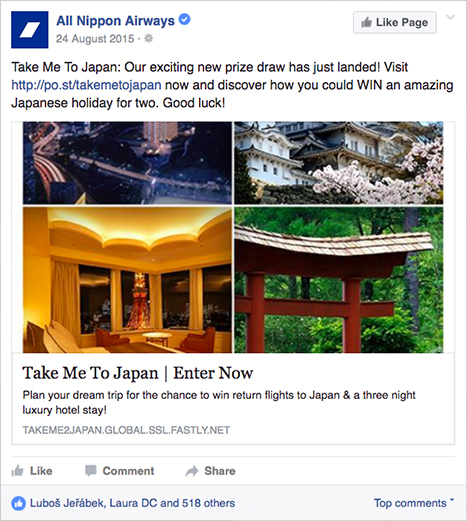 The activation centered around a data capture Facebook app, which housed a prize draw for two flights to Japan with accommodation. To enter, users were asked to curate their dream experience through a series of image options. This was designed to educate fans on the culture and beauty of Japan, whilst strengthening its connection to ANA. Once the entry was completed, each user received an ANA branded mood board. The shareability of this branded visual piece encouraged organic sharing via the entrants' social channels. The prize draw mechanic was supported by a promotional strategy that aimed to increase both brand awareness and follower acquisition. With a mix of Facebook advertising, trigger email campaigns and a partnership with Prince Park Tower Hotel, Tokyo and social content for UK, France and Germany. We were able to reach a wider audience than ANA’s existing fanbase. Beautiful imagery of Japan were used to inspire and excite, taking them away from their day-to-day lives and transporting them to another world.